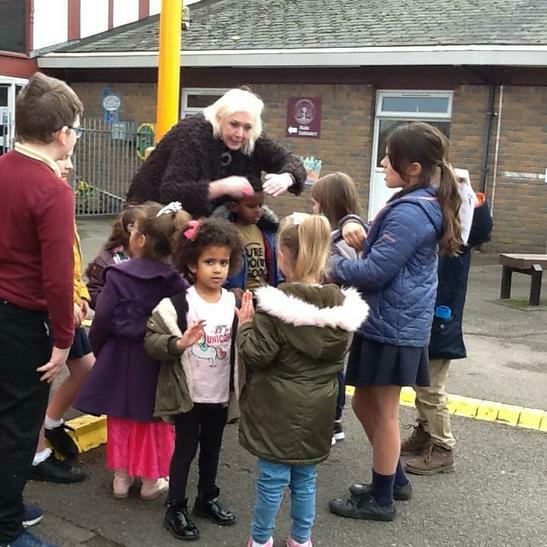 It was a real delight to welcome the 'Dreigiau' group from Berllan Deg Primary School today. 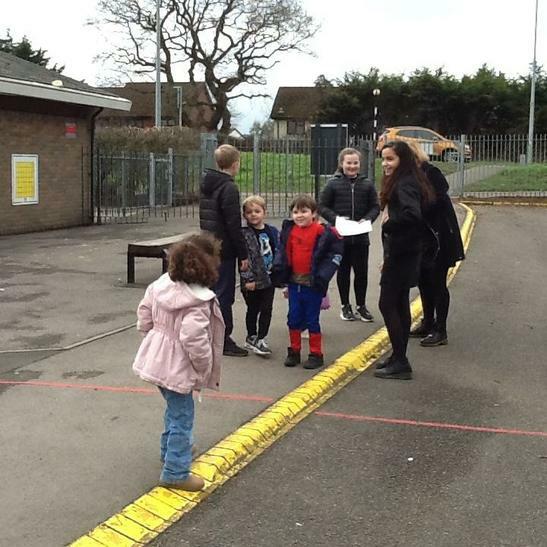 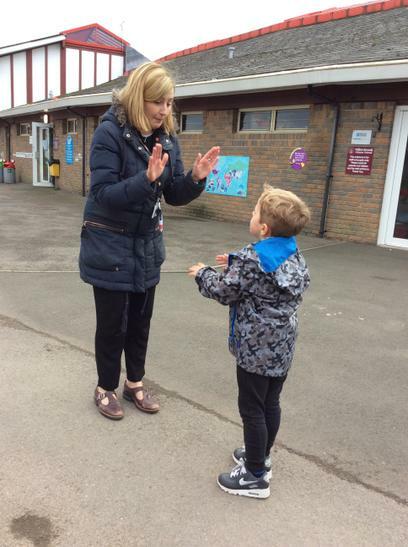 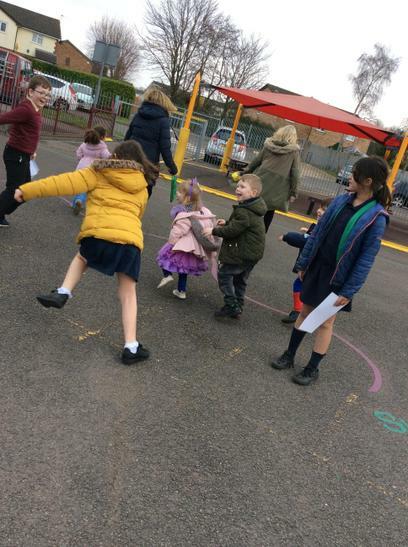 They came along equipped with some playground games which they shared with Class 2 - all in the medium of Welsh of course! 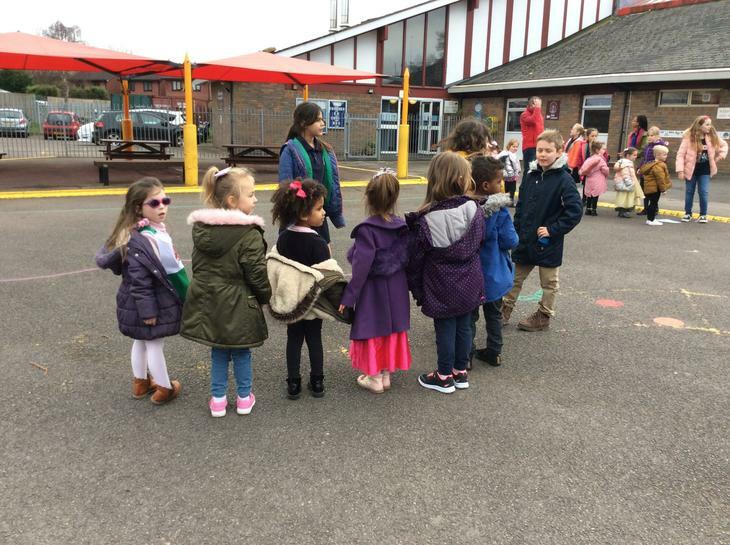 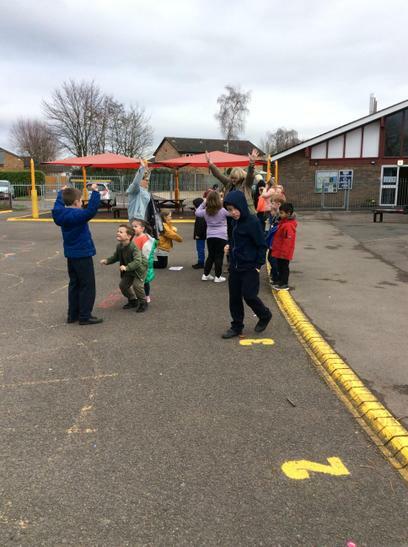 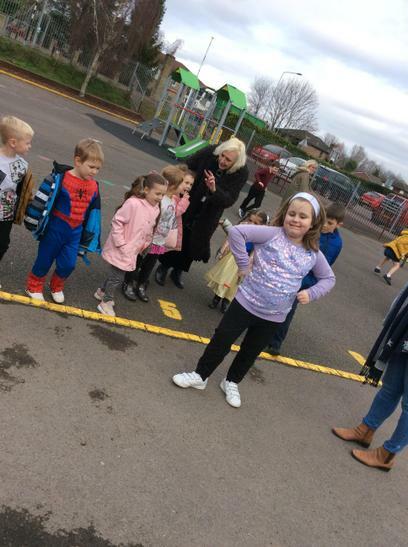 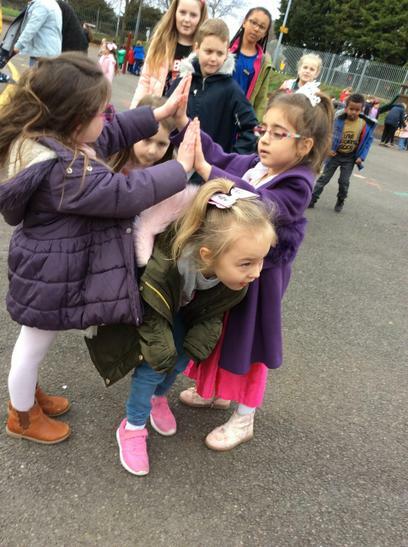 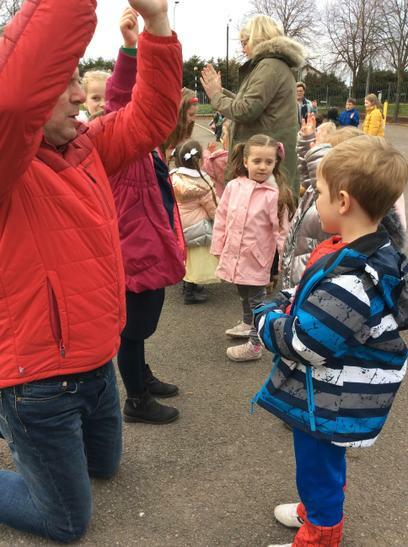 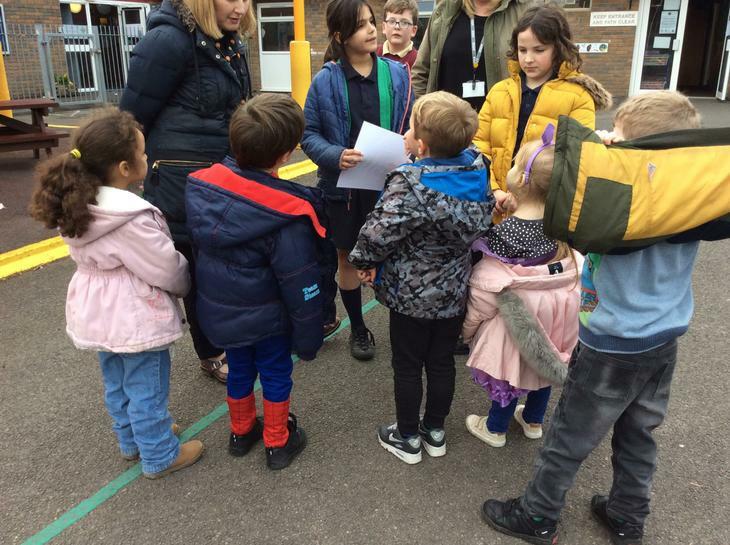 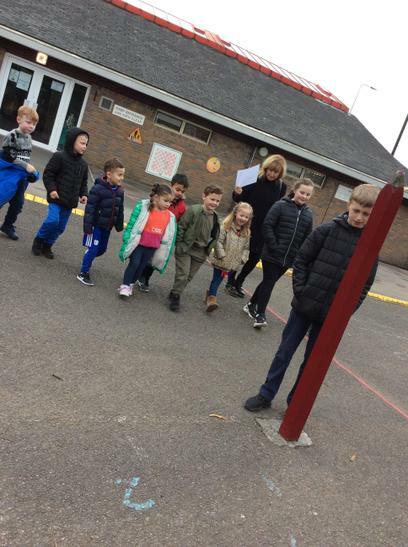 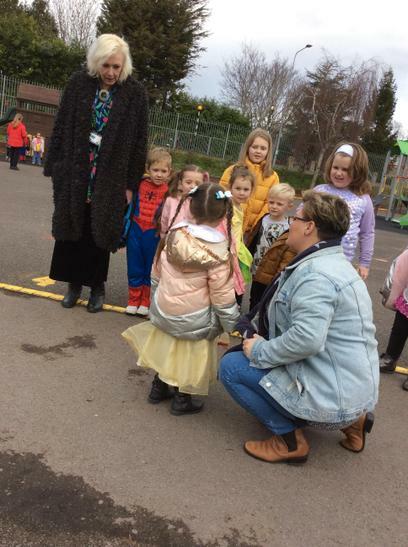 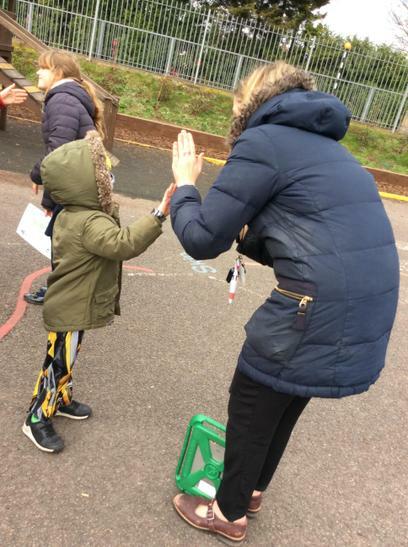 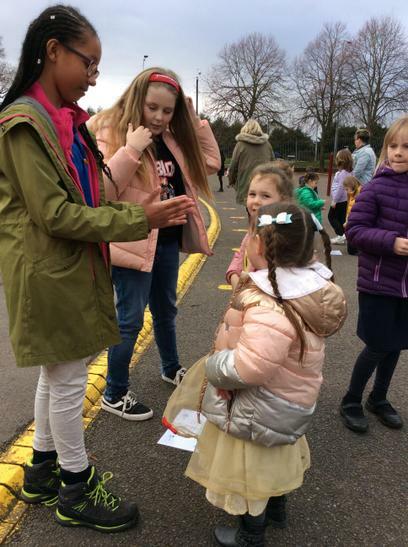 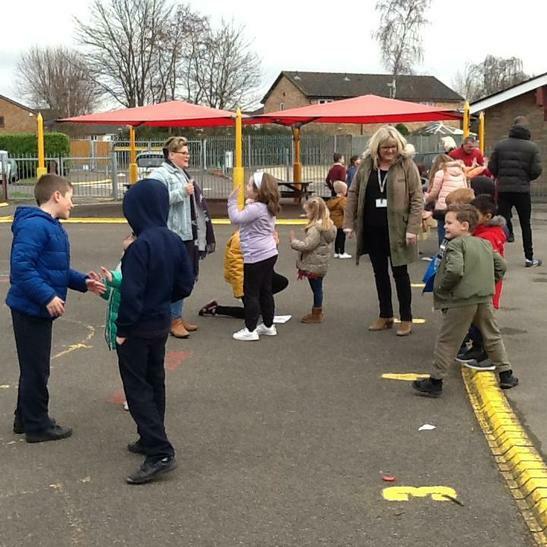 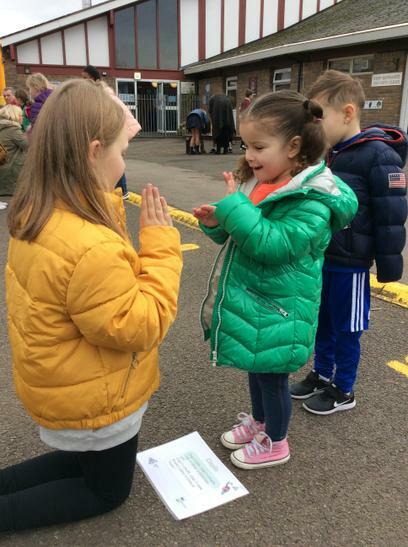 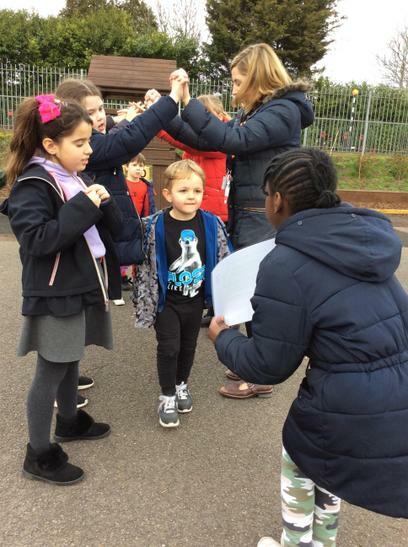 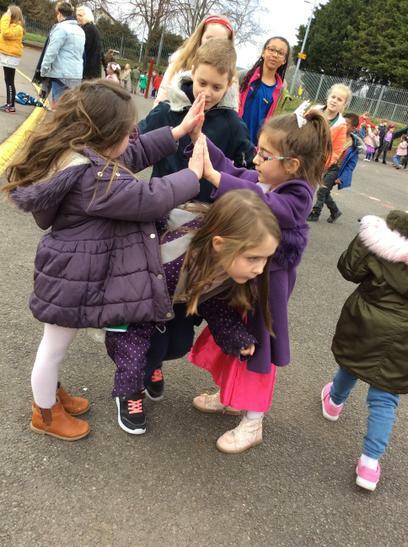 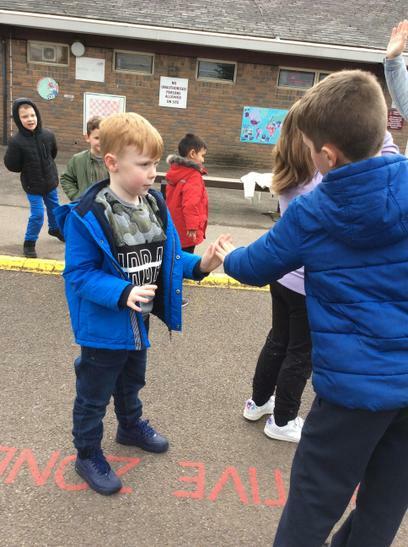 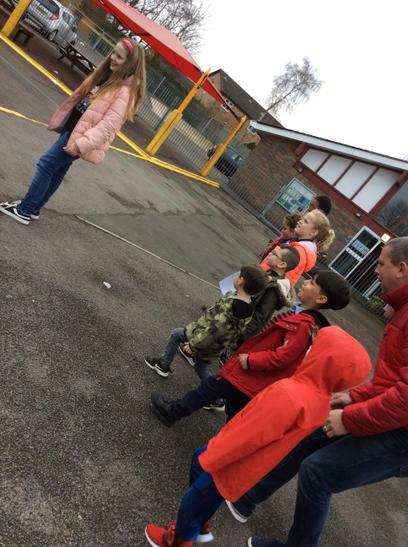 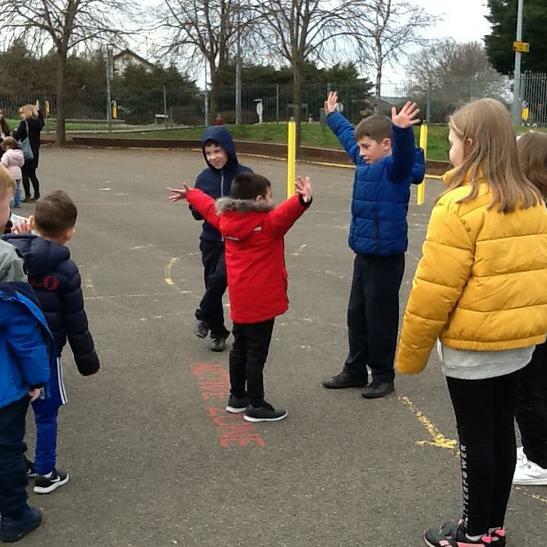 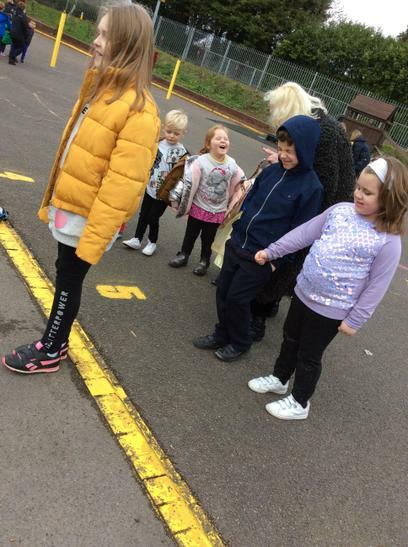 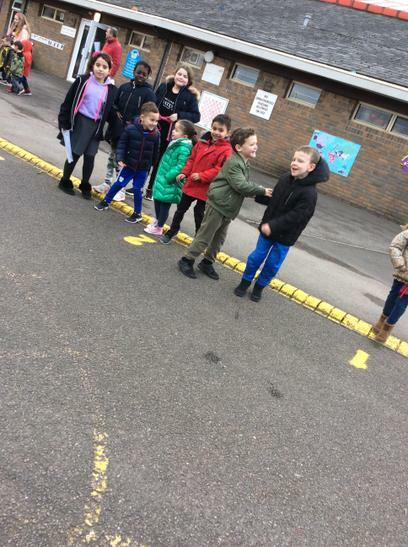 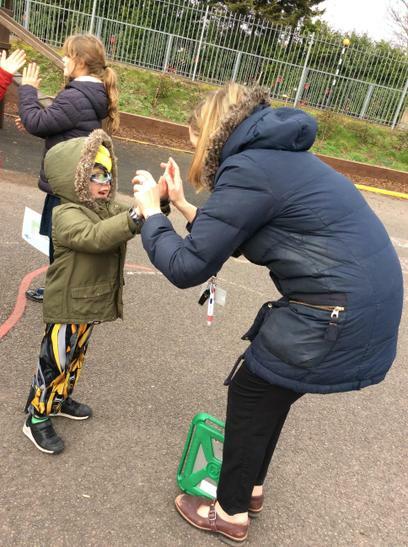 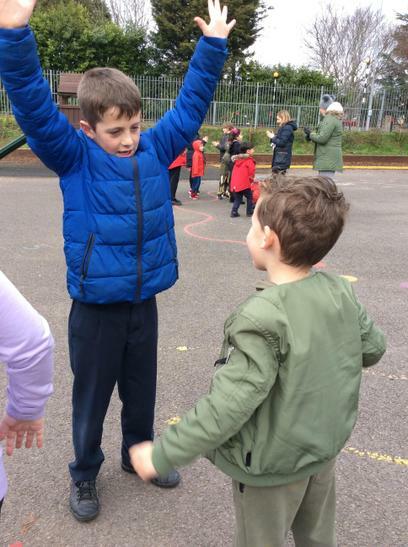 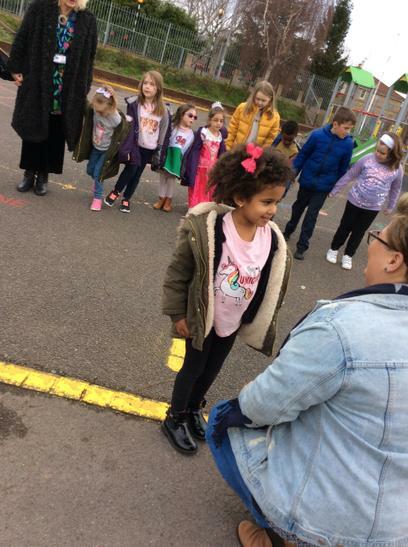 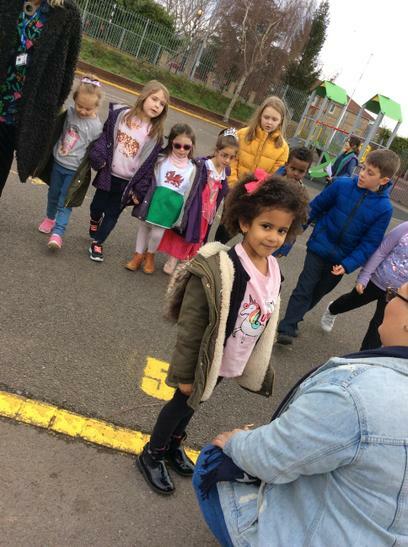 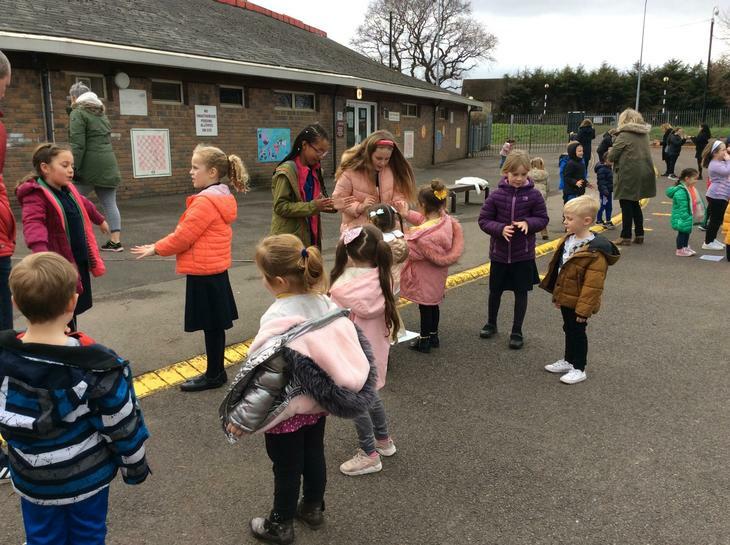 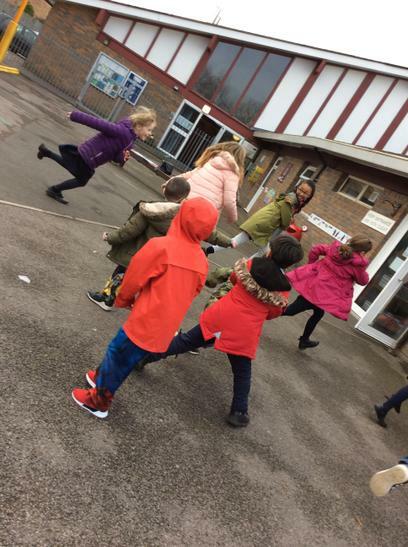 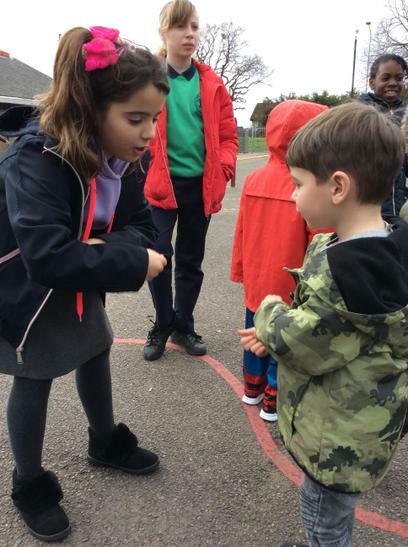 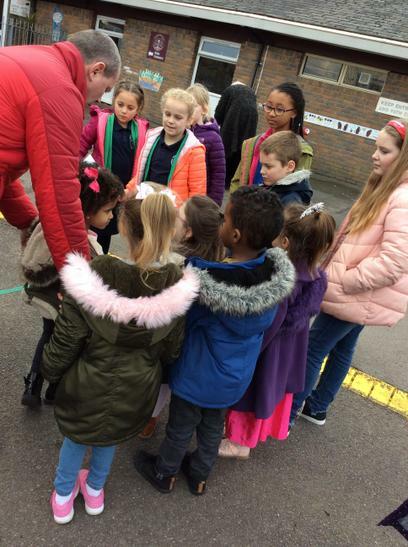 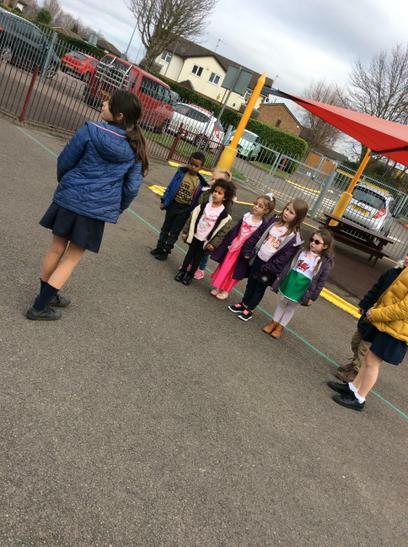 Our 'Playground Players' and 'Criw Cymraeg' joined them and the plan is that, having learnt the games, they will now take on the role of teaching them to the rest of the pupils in Foundation Phase! 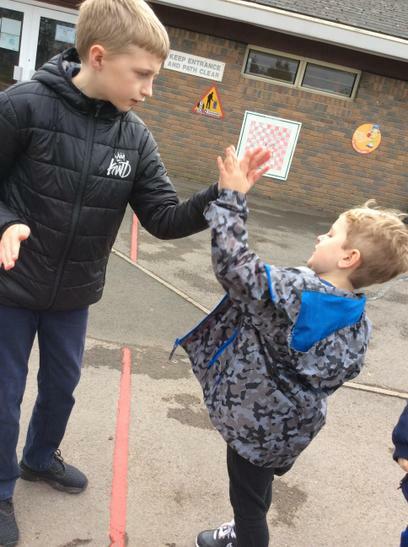 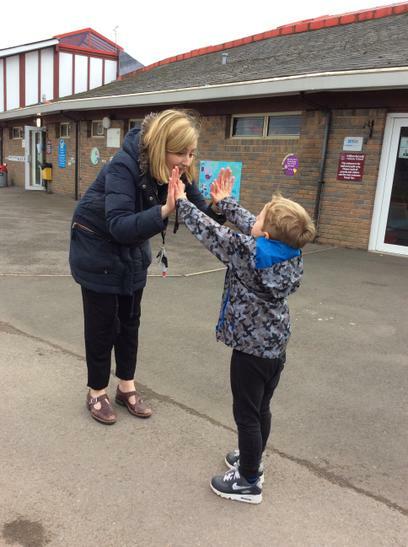 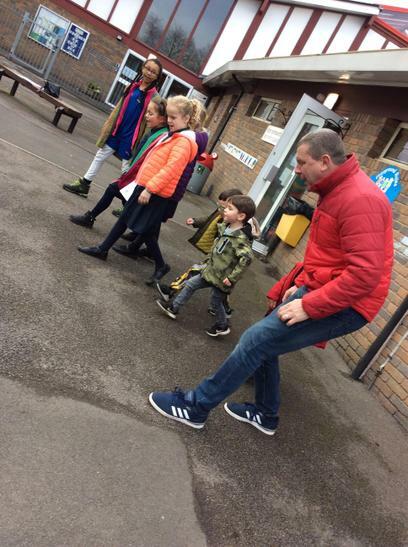 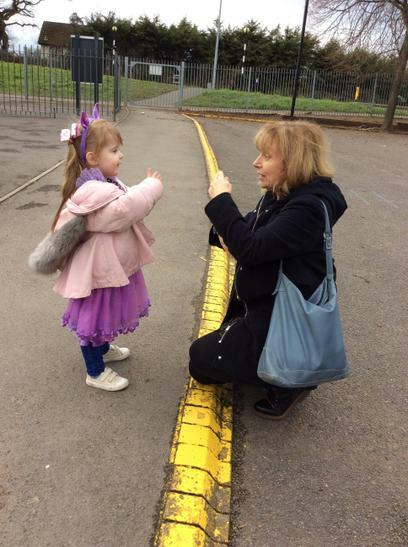 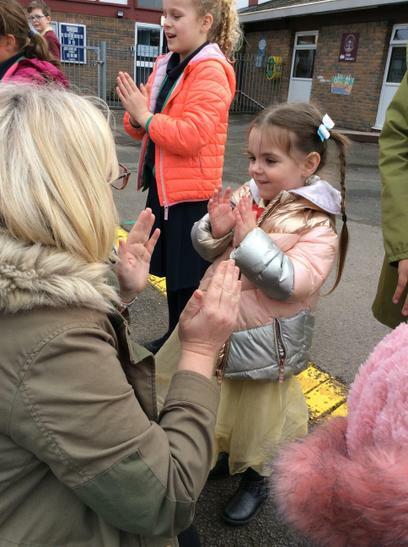 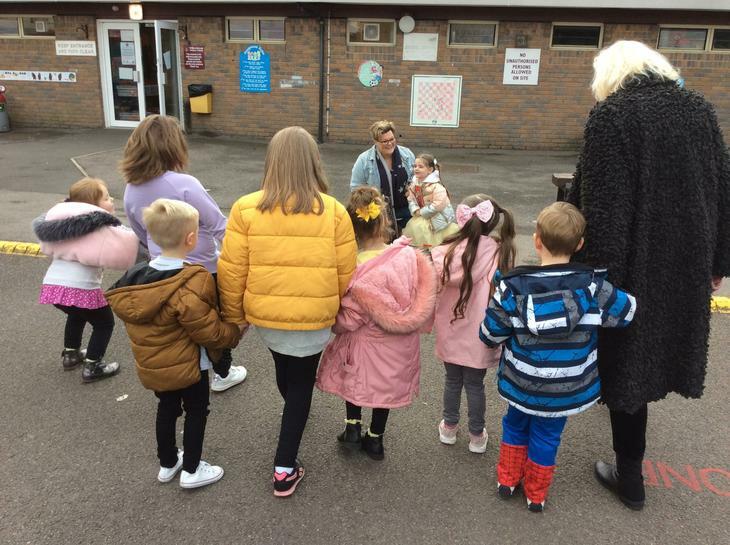 A great example of school to school working in the hope that we can develop our Welsh language skills - and who better to learn from than our friends at Berllan Deg!